If you’ve happened to peruse an Apple rumor site lately, you might have noticed a distinct lack of enthusiasm surrounding the next iPhone. It’s not the sort of thing we’re not used to seeing; this being an even year (or tick, if you prefer), early summer is normally the time when speculation starts heating up, when 9to5Mac or KGI analyst Ming-Chi Kuo drops a juicy tidbit for everyone to salivate over. But it’s looking more and more like that’s not going to happen. Reports are saying that the iPhone 7 (if that’s even what it’s called) will break the cycle and offer up another S-type model, with most of the major improvements happening on the inside rather than a flashy case change. It’s a risk for sure–whole-number iPhone models have always been judged on their physical attributes, and another year of the iPhone 6 will cause some people to immediately write it off. But that needn’t be the case. 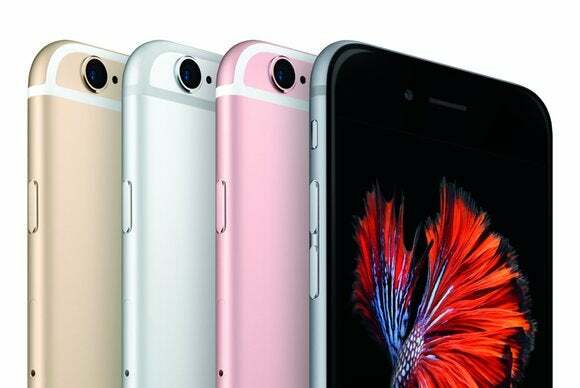 While this year’s iPhone might not have the usual buzz leading up to its announcement, there should be more than enough reasons to get entice iPhone 6 (and even some 6s) users to upgrade. Even if it’s true that the new iPhone is virtually indistinguishable from the model it succeeds, that doesn’t mean it won’t be a major step forward. While we can certainly count on the requisite improvements to the camera and chip, there almost certainly will be one or two major internal enhancements that not only make it attractive to upgraders but also chart a new course for Apple’s mobile strategy. There are already some clues out there. The iPad Pro introduced the Smart Connector for quick keyboard hookups, and there has been speculation that the iPhone Plus (or a new iPhone Pro) will adopt it, as well as the True Tone display, which would be right at home on the iPhone. But the killer feature will likely be something we haven’t seen yet. The S models have actually meant more to the evolution of the iPhone than the case redesigns–bringing major features like Siri, Touch ID and 3D Touch that have dramatically changed the way we use our phones–and the new iPhone is sure to introduce something entirely new. Even if the new iPhone looks like the one it replaces, make no mistake: The iPhone’s reboot starts this year. By breaking the two-year cycle, Apple is making it clear that the iPhone is in the middle of an unprecedented transition period, one much more significant than the usual biennial one. But while Apple may be prepping for a massive overhaul next year, that doesn’t mean this year’s iPhone is going to be a throwaway. Quite the contrary in fact–in all likelihood the 2016 model represents the last of the button-central iPhone, and Apple isn’t about to let it go out with a whimper. Delaying the redesign doesn’t just align it with the 10th anniversary, it also gives Apple an opportunity to give the “classic” model a proper send-off, and that could include a new 256GB Pro model, a Smart Connector, or even Apple Pencil support. The reliance on an old design liberates Apple to innovate from the inside, and with another year to tweak and refine the iPhone 6, the new iPhone could very well be its most flawless release. 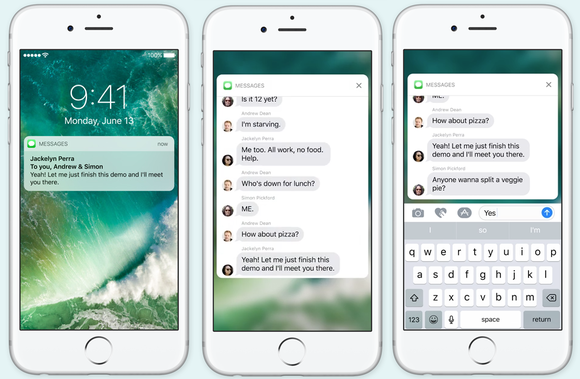 We may have only gotten small preview of iOS 10, but from what we’ve seen, it’s set to implement some of the most exciting changes since the launch of the App Store. It’s not just about extra features and apps (though there are plenty of those). iOS 10 introduces some exciting new ways to interact with apps that rely on 3D Touch, which just so happens to only available on the 6s. Apple has said that rich notifications with be available for devices without 3D Touch, but the experience is inferior on devices without it, even the new iPhone SE. With an increased reliance on peeking and popping, Apple will surely improve how it operates, much like it has with each generation of Touch ID. iOS 10 makes 3D Touch such an essential gesture that owners of the iPhone 6 and iPhone SE might be tempted to upgrade. And even though Apple optimizes iOS for older hardware, the newest phones always run it best. With iOS 10, the performance gap will likely be greater, with a heavy dose of Siri and subtle animations. Plus, there’s a rumor circulating about a touch-sensitive home button that would turn it into more of a tiny track pad with Force Touch-style haptic feedback, a feature that would further enhance iOS 10’s streamlined navigation. Even if the rumors are correct about another S model, there looks to be two important changes to the design of this year’s iPhone that will have implications down the road: the moving of the unsightly antenna bands to the sides of the device and the removal of the headphone jack. While no one is going to complain about a clean, uniform back plate, people are already up in arms over the removal of the iPhone’s universal music port. But if history is any indicator, the result will be addition by subtraction. There may be short-term pain, but every time Apple has retired a piece of legacy tech it has been to fast-forward the support a superior standard (USB, Wi-Fi, etc.). In this instance, it’s likely Bluetooth, and there is sure to be some exciting advancements in this space, whether it’s a new audio codec, faster charging, or instant pairing. Let’s not forget that Apple owns one of the most popular headphone companies on the planet, so a whole new listening experience could be on the way. When Apple announced the iPhone Upgrade Program alongside the 6s last year, it effectively ended the carrier lock-in. No longer were users limited to the model on the cycle they originally bought; after just 12 payments (about half the price of the phone) you can choose to slide into a new model without having to pay the remainder of the balance on the old one. It’s a pretty nice deal if you want to be on the cutting edge of tech, but with the two-year cycle about to change, it offers even greater protection to whole-number upgraders. Even if the 2016 model carries the S banner for another 12 months, the iPhone Upgrade Program ensures would-be iPhone 6 upgraders won’t have to skip the iPhone 7 of fear of missing out on the next big thing next year. So while rumors sites might be lacking in juicy details now, the reports of the next iPhone being a disappointment have been greatly exaggerated. You might as well start scoping out your place in line at your nearest Apple Store now, because you’re going to want one.